Louis cooed at his omega baby boy that laid in his arms. He lightly gave his tiny nose a boop and whispered, "What are we going to name you?" Harry was holding baby Alaric in his arms who had his eyes closed and suggested, "How about Andrew?" The omega looked up at his alpha and asked, "Are you trying to make our boys have the same first letter?" Harry chuckled and said, "Think about it, Alaric and Andrew, the brothers." Louis smiled fondly at his alpha and said, "You&apos;re silly." The alpha smiled back then looked down at Alaric who was fast asleep in his arms and whispered, "He slept," and sat down on the chair next to his omega&apos;s bed. Louis looked at the bassinet to check up on their baby girl, Reina, who was still asleep. He said quietly, scared to wake them up, "One to go," and looked down at his baby who wouldn&apos;t stop looking at his mama. Harry smiled as he observed them from his seat and said, "He likes looking at you." The omega pouted cutely and said, "Babies can&apos;t see yet, I&apos;m blurry to him," and kissed his small forehead. The alpha covered Alaric with a blanket to keep him warm and said, "You&apos;re the most beautiful person even if blurred." Louis blushed at his husband&apos;s words, looked at him and said, "So, uh, Andrew?" and looked down at his baby boy who was blinking his tired eyes at him. Harry smiled at how his omega changed the subject but played along anyway. He replied, "Or Alexander." The omega chuckled then stopped himself so that he wouldn&apos;t wake his babies up. He said, "We&apos;re still sticking to the A category?" The alpha smiled widely and said, "Yeah, pretty much." Louis thought about it for a moment as he made eye contact with his mate and said, "Actually... Alexander does sound good," Harry smirked so he added quickly, "But not because it&apos;s from the same letter category." Harry&apos;s eyes softened and whispered, "I love you." The omega smiled softly at his alpha and replied, "I love you, I do." The nurses walked in and the lilac-haired one said, "It&apos;s time." Louis frowned, and features changed. He said, "But he still didn&apos;t sleep," and looked down at his baby in worry, holding his tiny fist lightly. Harry stood up and kissed Alaric&apos;s small forehead before placing him gently in the bassinet. He whispered, "Goodnight, pups," and kissed Reina&apos;s small cheek, making her move a bit in her sleep. He stood in front of his omega&apos;s bed and asked softly, "Do you want me to get him to sleep? I&apos;ll walk around with him." 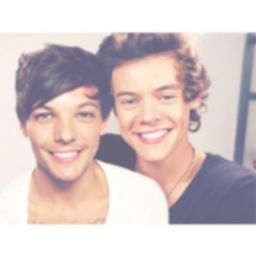 Louis shook his head and said, "I just want to hold him for a while." The blonde nurse said, "We will take the two babies and come back later for the last one," and the nurses left with the two babies sleeping soundly in their bassinet. Harry sat down at the edge of the bed and rubbed his omega&apos;s leg over the blanket. He said, "He&apos;s going to be okay, love." Louis bit his bottom lip and said, "He didn&apos;t sleep much yesterday. What if he&apos;s hungry?" and looked down at his baby in worry. The alpha watched his lover with so much fond filled his eyes and said with a smile, "You fed him earlier, love." Louis whispered in his baby&apos;s hair as he held him close in his arms, "I&apos;ll check up on you later, okay?" Harry chuckled and said, "No, you&apos;re going to be asleep, right here," and pointed at the bed under them. The omega turned his head to look at his alpha and said, "It will only take a minute to check if he slept then I will go back to bed," and looked at him innocently. Harry looked at him for a moment and suggested, "How about I check up on him and I&apos;ll let you know if he&apos;s okay." Louis bit the inside of his cheek and said, "Promise?" Harry smiled, nodded and said, "Promise," then kissed him softly. When he pulled away from the kiss, he looked down at his baby and asked his omega, "So are you sure that you like the name Alexander for him?" The omega looked down at their baby in his arms and said, "Yeah, we will tell the nurse in the morning." Harry rubbed his neck and said, "About that... we&apos;re going home first thing in the morning." Louis looked at his alpha and said, "Wasn&apos;t it until after tomorrow?" The alpha said, "Yeah, change of plans." Louis looked at him for a moment before he said, "Is everything alright?" 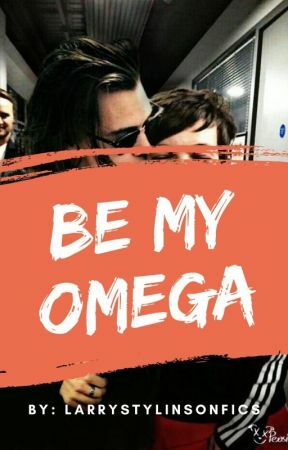 Harry squeezed his omega&apos;s leg and said, "Yeah, yeah, don&apos;t worry." Before the omega had the chance to say anything, the lilac-haired nurse walked into the room and asked, "Is he ready to go?" 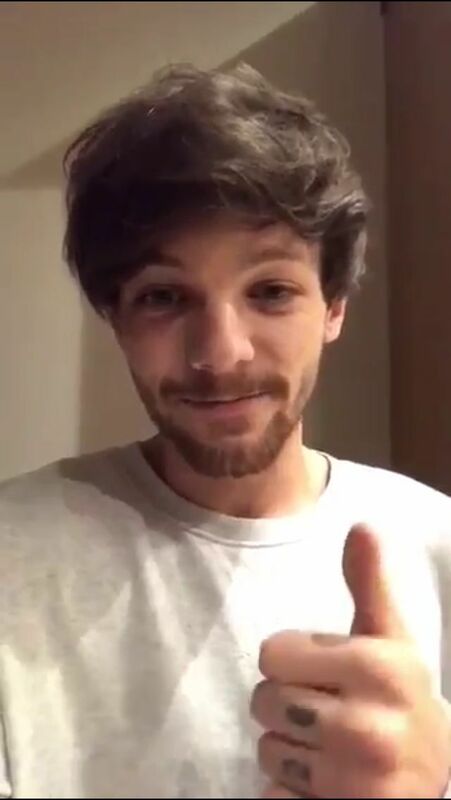 Louis shifted his focus away from the conversation that he just had with his alpha and said, "Uh," and looked down at his baby who was fast asleep in his arms. He smiled warmly and said, "Yeah," and kissed the side of his head as he hugged him close in his arms. He breathed in his scent, feeling himself calm down and whispered, "Goodnight, Alexander." The nurse reached her hand out and took Alexander from his mom. She laid him down gently in the bassinet and walked out of the door with him. Harry was on the phone texting his bodyguards to keep their pups safe and to make sure that nothing happens to them throughout the night. Louis looked at him and asked curiously, "Who are you texting at this time?" Harry put his phone away and said, "Just work," and kissed him softly. He pulled his blankets up to keep his omega warm, sat down at the edge of the bed and whispered, "Go to sleep, love." Louis laid down carefully on his side and winced a bit. The alpha helped him lay down, played with his feathery hair and asked, "Are you feeling better love?" The omega hummed as he shut his eyes tiredly and said, "Yeah, just didn&apos;t realize I was tired until they left." Harry said, "Rest now, love," and as he played with his hair, his omega slowly started to fall asleep. He stood up and kissed his forehead. He turned off the lights and stepped out of the room.